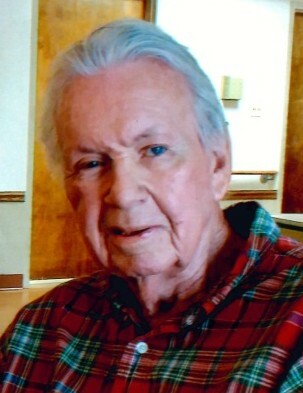 Savoy – Ronald Eugene Bange, 79, passed away on Thursday, April 4, 2019 at Palm Terrace of Mattoon. He was born on June 19, 1939 in Champaign, IL to Alfred and Ura (McElwee) Bange. Ron married LaDonna Ann Griswell on August 7, 1960 in Homer, IL. Ron is survived by his wife; children Greg (Diane) Bange and Kathy (Chris Hodge) Fogerson; grandchildren Jordan (Joel), Brett, and Austin; great-grandchildren Kaiden and Ember; honorary family Tracie (Mike) Harp, Ian, Marra, and Logann; and many nieces and nephews. He was preceded in death by his parents; 3 sisters; 1 brother; and many special pets over the years. Ron was an outdoorsman; he loved nature, fishing, and camping. He enjoyed spending time with his grandchildren. Ron was loved by many and he never knew a stranger. He had many stories and jokes to tell, some true and some untrue. Ron was a leader in his community of Homer, IL, and was active in school and civic events. Ron grew up as a farmer and was a farmer at heart. He was a member of the Homer Church of Christ. A celebration of life service will be held at 3pm on Sunday, April 7, 2019 at Sunset Funeral Home and Cremation Center in Champaign, IL, 710 N. Neil St. Champaign, IL. Visitation will be held prior from 1pm-3pm at the funeral home. Memorial donations may be made to Ron’s family and will be used to provide items in his memory to the several care facilities that served him during his life. Please join his family in sharing memories, photos, and videos on his tribute wall at sunsetfuneralhome.com.